The Senate's Environment and Communications Legislation Committee has given its seal of approval to tough new amendments to Australian copyright law. In its report, the Committee acknowledges widespread concern over the proposals but says that "adequate safeguards" will prevent "adverse consequences." 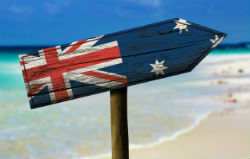 Section 115a of Australia’s Copyright Act allows copyright holders to apply for injunctions to force ISPs to prevent subscribers from accessing ‘pirate’ sites. The legislation has been used on many occasions since its introduction in 2015 but copyright holders say the law needs to be tightened to prevent circumvention. Those concerns spawned the Copyright Amendment (Online Infringement) Bill 2018, which contains proposals to close the loopholes. One of the key aims is to restrict access to proxy and mirror sites that appear after an injunction has been granted. However, the amendments lay out the ability to do that without court intervention, something that’s making activists and academics nervous. Another is to expand grounds for an injunction. Currently “online locations” outside Australia with a “primary purpose of infringing” are targets for blocking. The amendments would see sites that have “the primary effect” of infringing or facilitating infringement also being sucked in, opening the door for blocking general purpose file-hosting sites. Finally, search engines are seen as useful indexes for people looking for information to access sites that have already been blocked. The amendments forsee platforms like Google purging their search results of references to blocked sites. Yesterday, the Senate’s Environment and Communications Legislation Committee published the results of its inquiry. Those hoping for an additional dissenting voice will be disappointed. “The committee is of the view that the amendments proposed by the bill are likely to improve the operation of the injunctive scheme in section 115A of the Copyright Act, and represent a measured and proportionate response to concerns identified by stakeholders in relation to the operation of that scheme,” the report reads. Quantifying its decision, the Committee acknowledges concerns that “adaptive injunctions” (which allow for post-injunction proxy and mirror sites to be blocked) will be left up to copyright holders and ISPs to decide, so without intervention from the Court they could be open to abuse. However, it believes that enough safeguards are in place to ensure that does not happen. “[T]he committee is of the view that the measures are appropriately circumscribed. In particular, the committee notes the evidence that the Court would maintain ultimate oversight over these injunctions, as well as the evidence that there must a sufficient nexus between the online location covered by the original injunction and the location to which the order is expanded,” the report reads. It also notes that a voluntary arrangement between copyright holders and search engine providers may yet be reached, so if all else fails the proposed amendment will provide an “important backstop” in the event such agreements prove ineffective. “The committee considers that, on balance, the benefits of the bill outweigh any potential negative impacts that could arise from the proposed amendments. The committee therefore recommends that the bill should be passed,” the report concludes.